Developers registered on Apple’s development programs have historically been first in line to receive any pre-release software that the Cupertino-based company deems fit to release for testing. We once again witnessed that trend a couple of days ago when Apple released a slew of beta; including iOS 9.3 beta 1, OS X 10.11.4 beta 1, tvOS 9.2 beta 1, and the first beta of watchOS 2.2. While those developers are busy testing out their products with the latest firmware, Apple has been busy internally prepping the software for a release to those registered on its public beta testing program. In line with that program, the iOS 9.3 and OS X 10.11.4 initial betas are now available to the public. Public testers with an interest in iOS simply won’t know what to do with themselves. 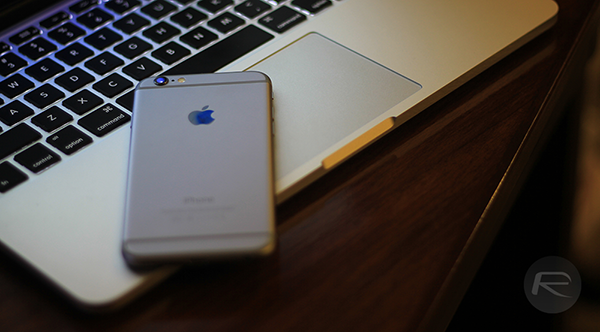 Apple already has a beta version of iOS 9.2.1 out in the world for testing and development purposes. The release of iOS 9.3 sits nicely alongside that incremental update, but adds a great deal more functionality for testers to get their teeth into. iOS 9.3 introduces a new feature called Night Shift which essentially sherlocks the great work carried out by the f.lux application that was popular in the jailbreak world. Apple has also introduced a number of Siri enhancements that includes support for a number of new languages. Notably, there’s also inclusions for 3D Touch Quick Actions in stock apps like Weather, Settings, Compass, App Store and more. On Mac side of things, those who prefer to work from the desktop are able to get their hands on the latest OS X 10.11.4 public beta right now. As you might expect, there’s also some goodies to get to grips with this update. Apple has focused once again on security optimizations under OS X hood, as well as introducing support for Live Photos in the native Messages app within OS X. Regular users of the platform should also be able to notice some impressive performance enhancements. For those already running a public beta versions of iOS or OS X, the updates are available right now for registered public testers as over-the-air (OTA) downloads through the relevant software update mechanisms. 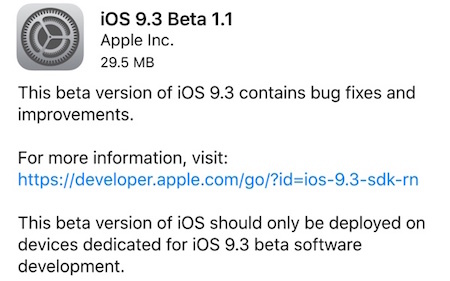 Update x1: Apple has now also released iOS 9.3 Beta 1.1 build number 13E5181f to those registered on Apple Developer program with fix for installation issues. Where do you get the public beta from? You signup for beta, download a beta profile and update OTA.